Sadly, I’m travelling all weekend and so won’t have the opportunity to attend the festivals down here in Orange County and Venice. There are still plenty of Obon festivals left to attend this summer. It’s never to late to break out your kachi kachi! 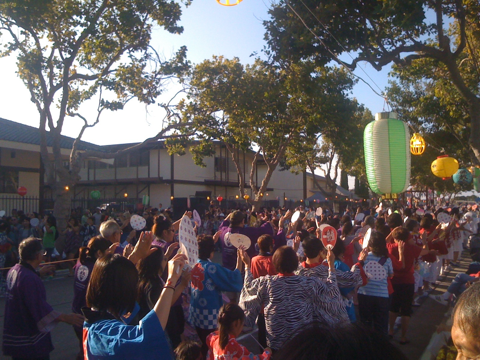 More details about Obon dates and locations can be found at the Japanese City Obon Festival and Bon Odori Schedule! (I wish I’d known about this before I typed up this list.) If you have photos, I’d be most delighted to link to them! Corrections are much welcome too. Many thanks to Rev. Bridge and Rev. Usuki for their help in putting this list together.